During the week following commencement, campus services and activities will round up all abandoned bikes on campus. Those who will still be on campus after commencement must place a green tag on their bike to avoid accidental collection. Bikes with these tags will not be collected. Green tags are available from the University Union and DuBois Center front desks beginning Friday. 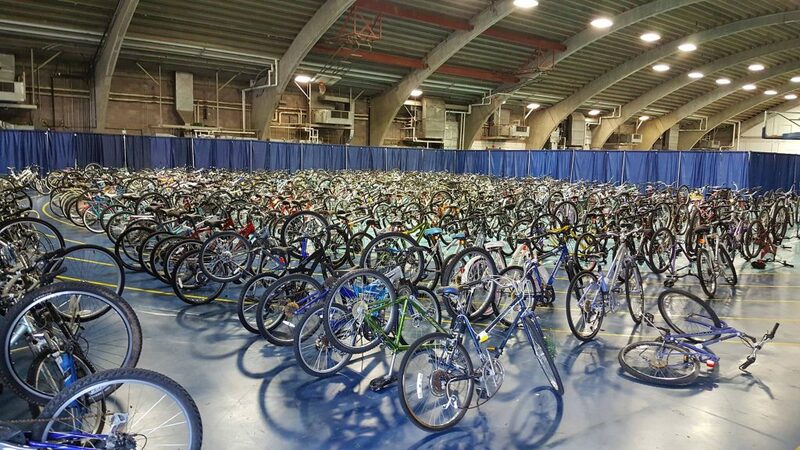 Collected bikes will be held for the required 90 days before being sold at the abandoned bike sale on the Friday before the fall semester begins. Proceeds from this sale fund the Yellow Bike program on campus. If a bike is accidentally rounded up, the owner should contact Grounds at (928) 523-6659 to determine if they have the bike and then to find a time to pick it up. “Our goal is that no bikes that belong to people are rounded up,” said Megan Proctor, student unions and activities director. For additional information on the bike roundup, contact Proctor at megan.proctor@nau.edu.